A new study has found that vitamin D supplementation does not prevent fractures or falls or improve bone mineral density in adults. Yet the new study does not change current advice, according to leading osteoporosis experts. A new meta-analysis of 81 randomised trials published in The Lancet Diabetes & Endocrinology journal also found no differences in the effects of higher versus lower doses of vitamin D.
In the study, the authors pooled data from 81 randomised controlled trials. The majority of the trials studied vitamin D alone (ie, not prescribed in conjunction with calcium supplements) and were of one year or less. Most included women aged over the age of 65 (77% of trials) who lived in the community and who received daily doses of more than 800 IU per day (68% of trials). More than half of the trials were done in populations with baseline concentrations of 25-hydroxyvitamin D (25OHD) of less than 50nmol/L (a cut-off often considered to indicate low vitamin D levels), but only 6% were done in populations with vitamin D deficiency (a baseline 25OHD of less than 25nmol/L). The majority of trials (91%) reported achieving 25OHD concentrations of 50nmol/L or more, and about half reported achieving 25OHD concentrations of 75nmol/L or more. There was no clinically meaningful effect of vitamin D supplementation on total fracture, hip fracture, or falls. There was evidence that vitamin D does not reduce total fractures, hip fractures, or falls by 15%—a clinically meaningful threshold. Even when lower thresholds were assessed, there was still reliable evidence that vitamin D does not reduce falls by 7.5% and total fractures by 5%. In secondary analyses looking at bone density, there were small differences for lumbar spine, femoral neck, and for total body, but none of these were clinically relevant. In addition, the authors conducted more than 60 subgroup analyses to verify their findings. The authors concluded that there is therefore little justification to use vitamin D supplements to maintain or improve musculoskeletal health, except for the prevention of rare conditions such as rickets and osteomalacia in high-risk groups, which can occur due to vitamin D deficiency after a prolonged lack of exposure to sunshine. 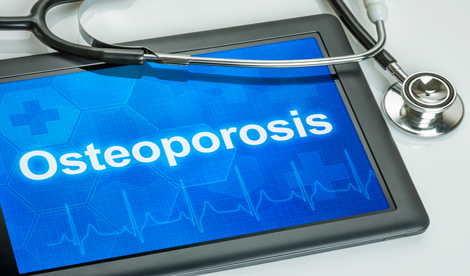 Leading osteoporosis experts have, however, questioned the significance of the findings and reiterated it does not change current guidance, advising that people at risk of vitamin D deficiency should continue to take their supplements. “A large number of subjects included in the review had what are considered to be normal levels of vitamin D in the UK,” said Dr David Armstrong, expert adviser to the National Osteoporosis Society. “Only 6% of subjects were actually considered deficient in vitamin D,” he continued, “with the majority being generally healthy and mobile adults at very low risk of breaking bones. Professor Neil Gittoes, clinical adviser to the charity, added: “This study doesn’t change our current understanding and advice about the role of vitamin D to maintain strong bones. There is an increasing consensus that taking supplements of calcium and vitamin D alone does not reduce falls and fracture risk. “However, there are also some people who are at risk of vitamin D deficiency, including those who don’t get out in the sunlight very often, who may benefit from a vitamin D supplement – especially during the winter months. “Since the last major review of evidence in 2014, more than 30 randomised controlled trials on vitamin D and bone health have been published, nearly doubling the evidence base available. Our meta-analysis finds that vitamin D does not prevent fractures, falls or improve bone mineral density, whether at high or low dose. Clinical guidelines should be changed to reflect these findings. On the strength of existing evidence, we believe there is little justification for more trials of vitamin D supplements looking at musculoskeletal outcomes,” says lead author Dr Mark J Bolland, University of Auckland, New Zealand.